These deliciously soft, crumbly cookies are made with coconut oil instead of butter, and also contain shredded coconut, so they are a great way of incorporating coconut into your diet. 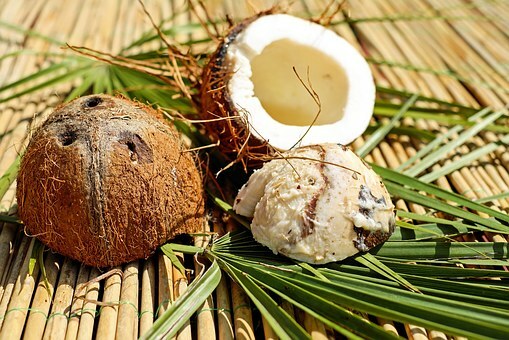 They provide all the amazing health benefits of coconuts and coconut oil in a mouth-watering snack. These cookies use half the amount of sugar as conventional biscuits, so they are not as sweet. 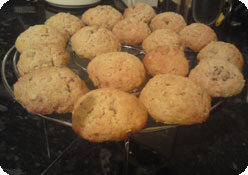 Instead, the shredded coconut, walnuts, oats and cinnamon provide flavor and a slight sweetness to the cookies. This recipe makes about 30 cookies and each cookie contains approximately half a tablespoon of coconut oil. Mix together the sugar, liquid coconut oil, eggs and vanilla. In a separate bowl, combine the flour, oats, shredded coconut, baking soda, cinnamon and salt. Stir this with the wet mixture. Work quickly before the coconut oil starts to harden - you may need to use your hands. Fold in the walnuts. 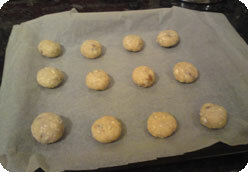 Roll the mixture into 1 ½-inch balls and place on a baking sheet 2 inches apart, flattening the balls slightly. Bake in a preheated oven, gas mark 5 or 190°C (375°F) for 10 minutes or until the cookies are golden brown.